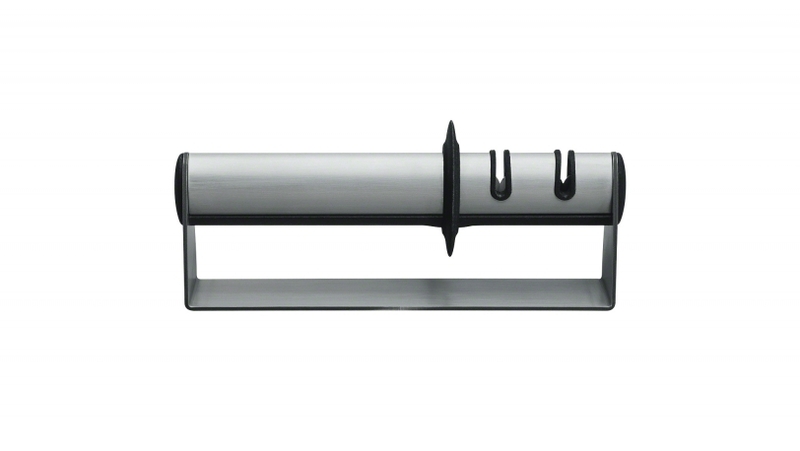 The stylish, stainless steel TWINSHARP Duo sharpener has two stages to breath life into any knife. The course (I) stage will restore the dullest knives and the fine (II) stage has ceramic wheels that will sharpen, smooth, and polish the edge. This sharpener is extremely easy and quick to use. A perfect compliment to any TWIN series knives. 30 degree sharpening angle.